The Agri-Spread AS150-T is a tandem axle 14.6m³ (515 cu ft) spreader capable of carrying 14.6 ton of fertilizer or 20.4 ton of lime sand. It easily connects directly to any ISOBUS compatible tractor for setup, calibration and rate control. Monitors can be purchased for tractors that are not ISOBUS compatible. The bin sits on load cells and the variable speed floor belt and spinners are driven hydraulically. 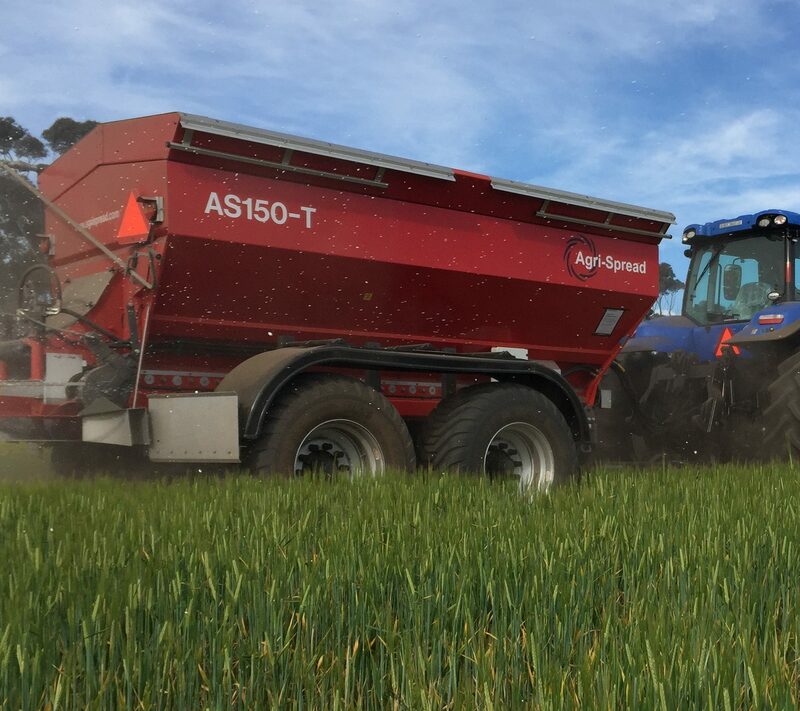 The AS150-T is durable with the bottom third of the bin and rear spreading deck made from stainless steel. All of the fixtures, nuts, bolts and hydraulic fittings are also stainless.